Rev. Steve F. Mack was born in Beaufort, South Carolina, to the late Mary Ellen and Steve Mack. In 1975, he graduated from Beaufort County Public School System, and upon graduation, enlisted into the US Army to be of service to his country. Following his discharge, Rev. Mack enrolled in and attended Beaufort Technical College and later Greenville Technical College, both located in South Carolina. In 1978, he was employed with the South Carolina Department of Corrections, achieving supervisory status. In 1984, he was employed with the Department of Justice Federal Bureau of Prisons and retired from the Colorado facility a few years ago. In 1995, Rev. Mack acknowledged his call to preach the gospel leading to his being licensed and ordained. He attended both Knox Theological and New Geneva Theological Seminaries and the University of Phoenix. He has been the pastor of Eighth Street Missionary Baptist Church since 1998. Rev. 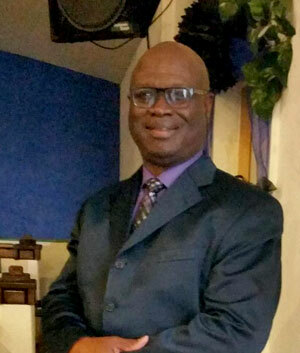 Mack is currently a participating member of Pueblo Ministerial Fellowship, First Vice President of the Pikes Peak Baptist District, member of the General Missionary Baptist Convention, and National Missionary Baptist Fellowship of Churches. He has participated in a number of organizations and boards while living in this community. Rev. Mack is former Chairman of the National Association of Blacks in Criminal Justice-Southern Colorado Religion (NABCJ), former chairman of Loving Homes, former member of Pueblo African American Concerned Organization (PAACO), former member of UCS Las Hermanas, former President of the NAACP Colorado-Montana-Wyoming State Conference, and continues to be an active member within the community.